Frank Iero has asked fans to be respectful of his band's privacy and boundaries on Twitter after being hounded by overzealous fans on his current tour of the U.S. 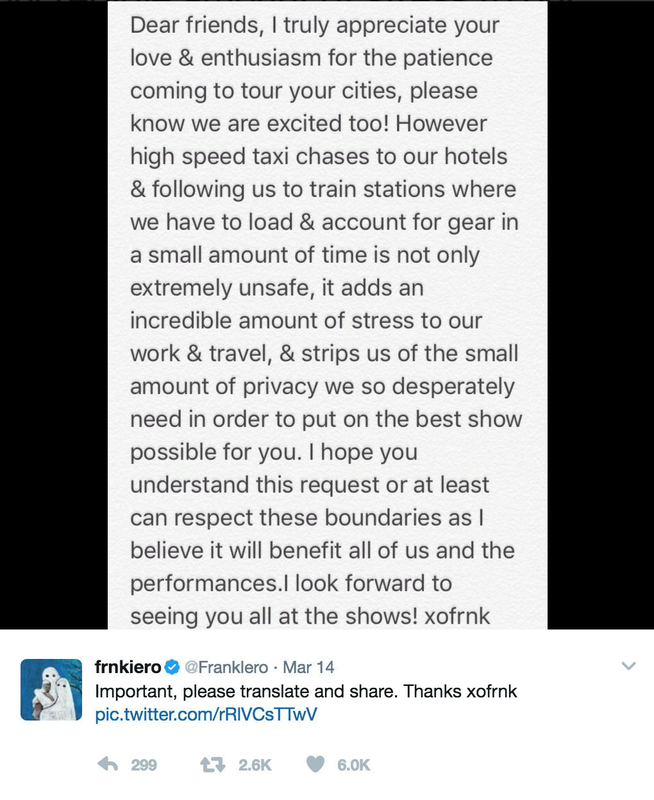 In a carefully worded statement, Frank detailed two incidents of being followed in taxis and at train stations which has lead to "extremely unsafe" situations for both the band and the fans engaging in the activities. It's fine to want to meet your heroes but stalking them across town and starting high speed chases around cities like your in Fast and Furious definitely crosses the line. People need to chill the F out. 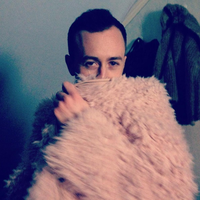 Are fans taking things too far? Let us know on Facebook or Twitter.